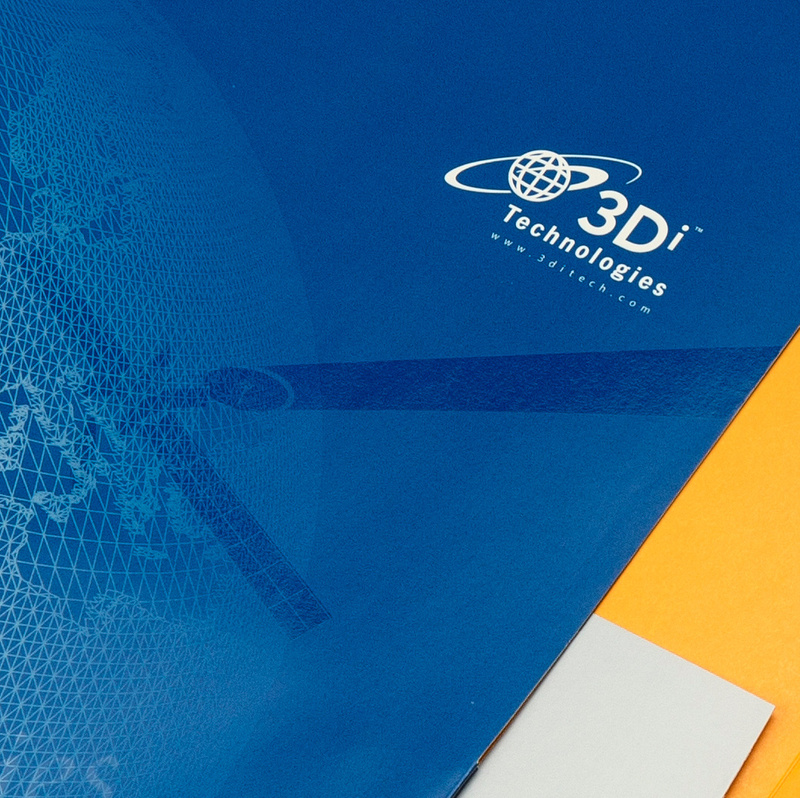 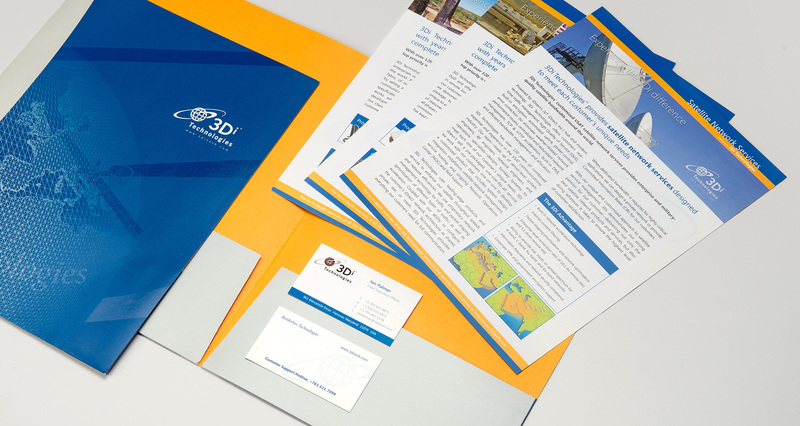 3Di needed a new sales kit under a tight deadline, with an identity refresh rolled in. 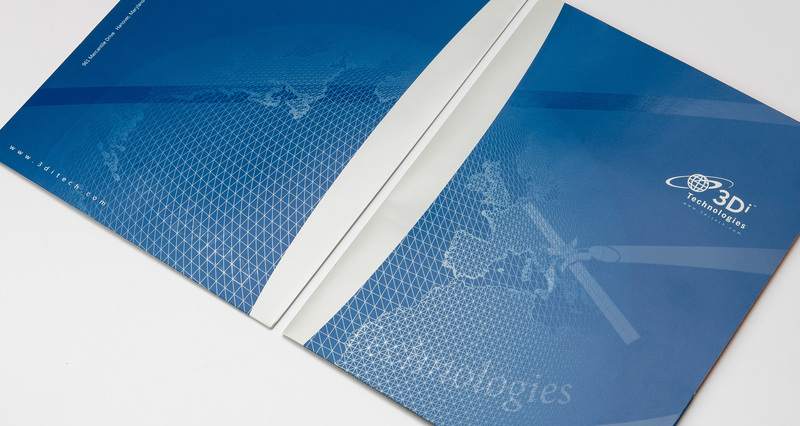 Moonraker delivered with alacrity. 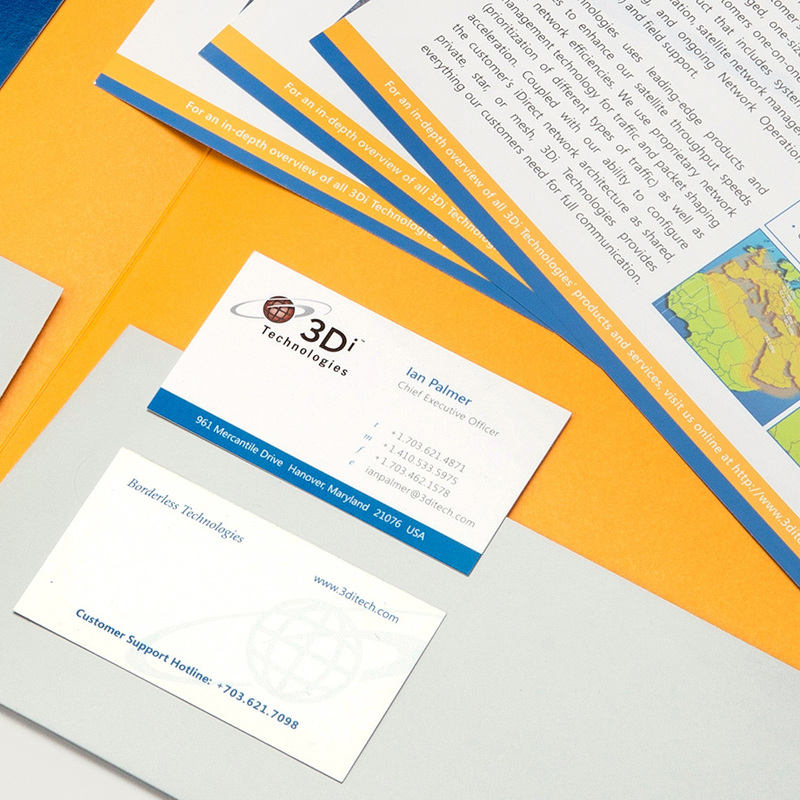 New data sheets plus business cards featuring a modernized logo, and something impressive to carry them in: a crisply-designed folder leveraging silver ink and a spot varnish to communicate their global communications technology solutions.